31204 passes Circourt Bridge, Denchworth, on 17 August 1978 with the 4A21 12:05 Malago Vale to Old Oak Common empty newspaper vans. Apologies for the very poor quality of this image, but it is one of my very earliest railway photos, and the combination of a Praktica PLC2 on a dull day is not a recipe for high quality! 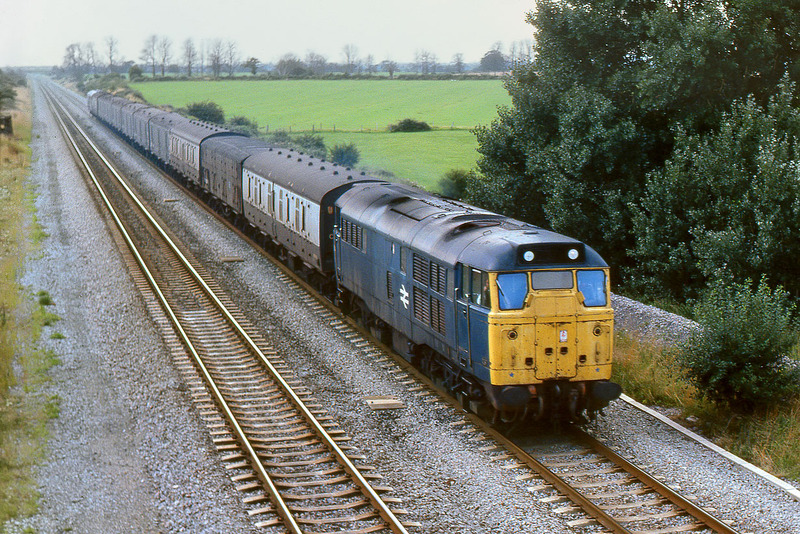 Despite Class 31s regularly working these trains, and the reasonably frequent premium parcels services, I have got very few pictures of them.